Rabbi flies to Bulgaria without the usual celebrity entourage, but Dankner and Ben-Dov still seek him. Rav Yashiyahu Pinto, a is a highly esteemed spiritual figure who heads the Shuva Yisrael global ministry, has embarked on his annual pilgrimage to Bulgaria without the usual entourage of tycoons and celebrities, reports Globes. Rav Pinto's devout followers include IDB Holdings Chairman Nochi Dankner and Ilan Ben-Dov, the outgoing chairman of Partner Communications, who are both in financial trouble. While two did not accompany the rabbi on the pilgrimage, they did visit him in recent days, as did real estate mogul Jacky Ben-Zaken, according to the report. All of these figures lead an outwardly secular life style. If Dankner finds an investor for his ailing business in New York, writes Globes, it could very well be an American follower of Rav Pinto, or someone close to him. 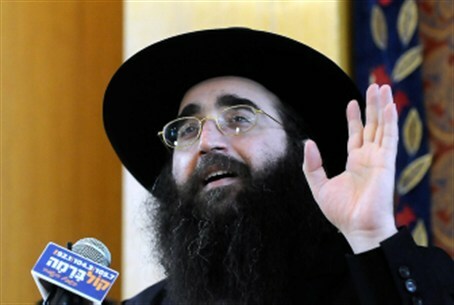 The tycoons and celebrities are missing because Rav Pinto was not pleased with the fact that the annual trip to Silistra, to the tomb of Rav Eliezer Papo, also known as the "Pele-Yoetz," had become such a star studded event. In addition, the tycoons themselves are wary of being criticized for going on such a trip, at a time of financial uncertainty, when many people's jobs depend on their abilities to improve their own situation. Rav Pinto is a descendant of well-known rabbis on both sides of his family. He is the great-grandson of Rabbi Chaim Pinto on his father’s side, while on his mother's side he is the grandson of the famed kabbalist Rabbi Yisrael Abuhatzeira, known as the Baba Sali.